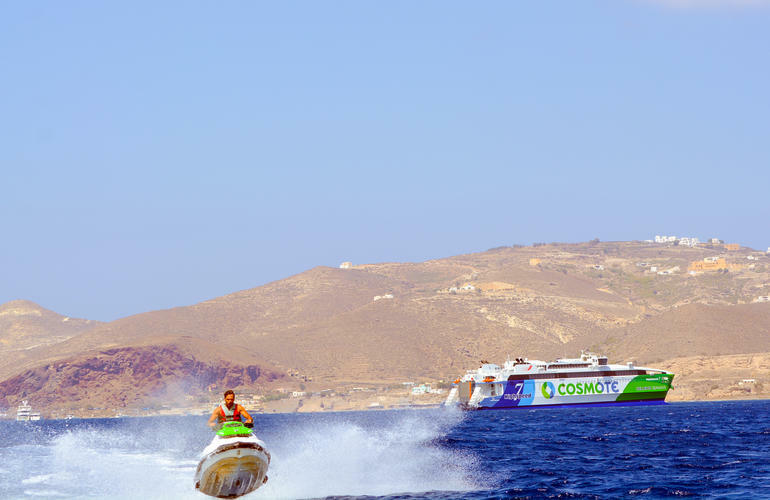 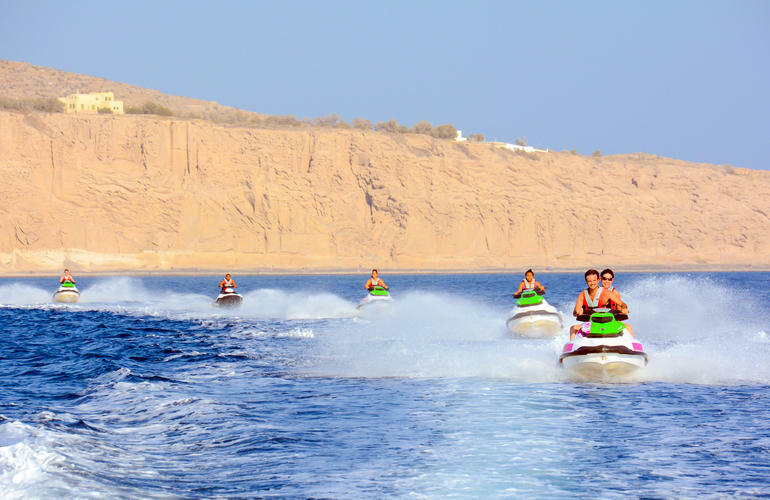 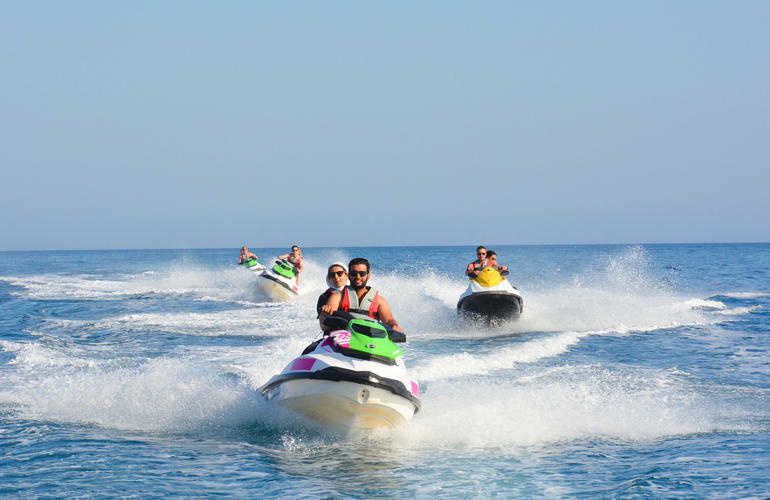 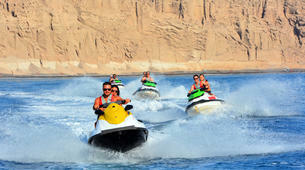 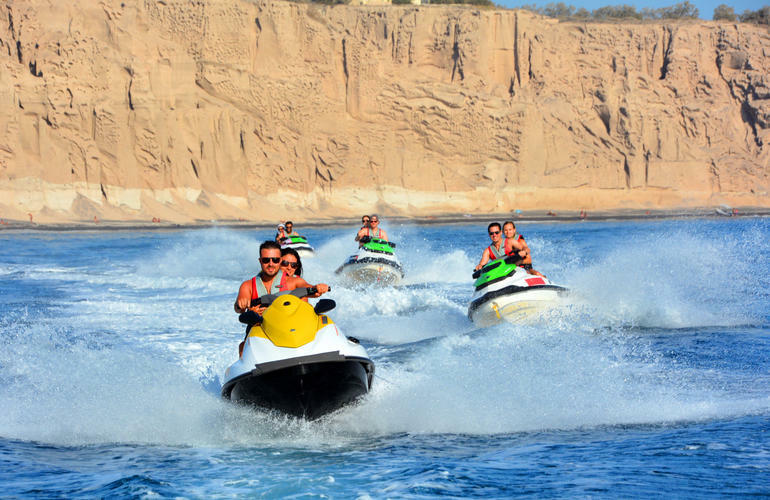 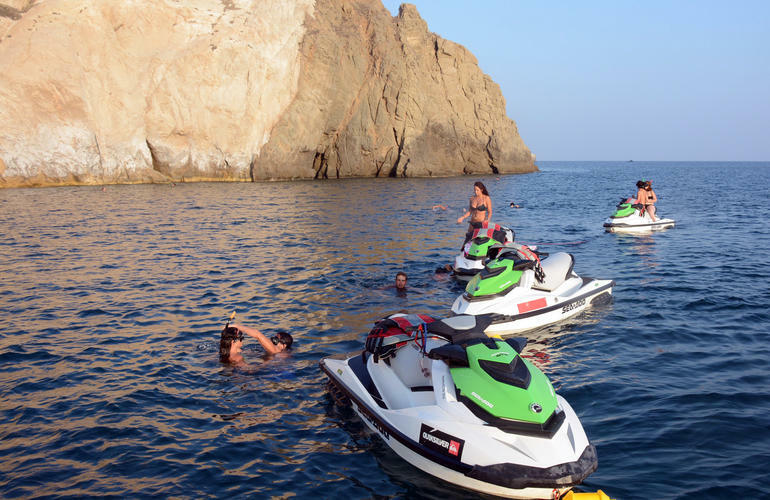 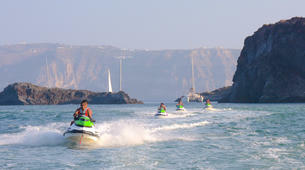 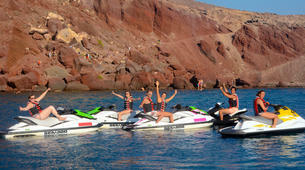 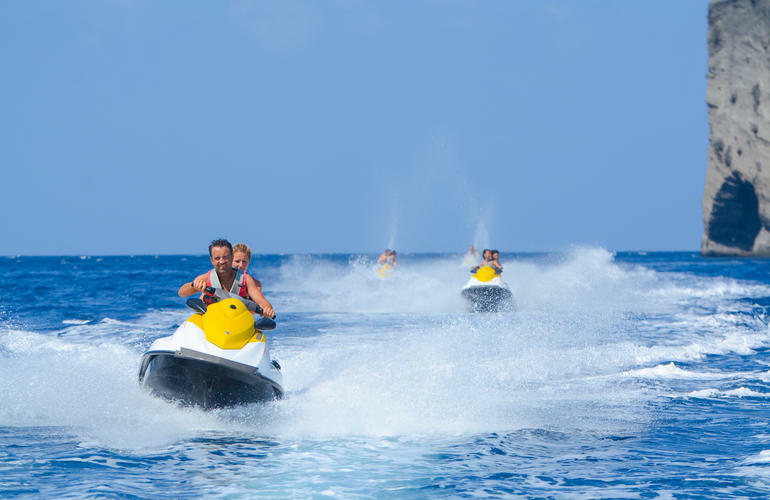 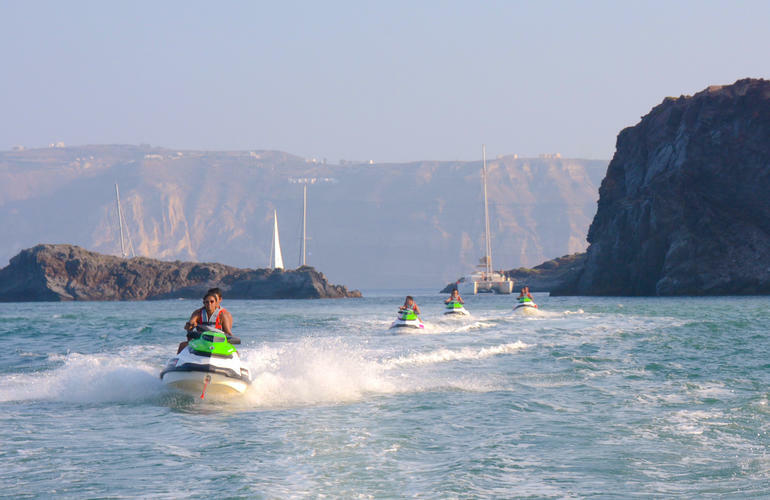 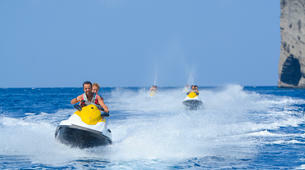 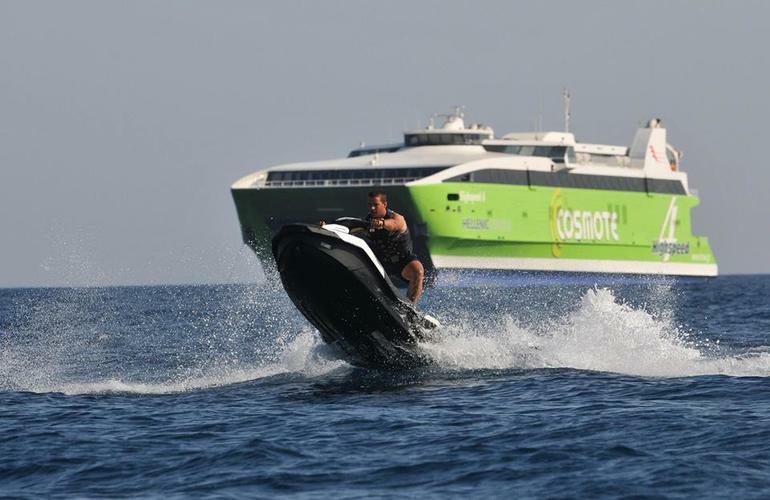 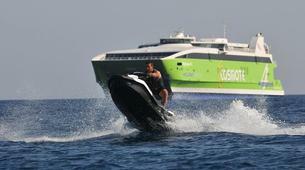 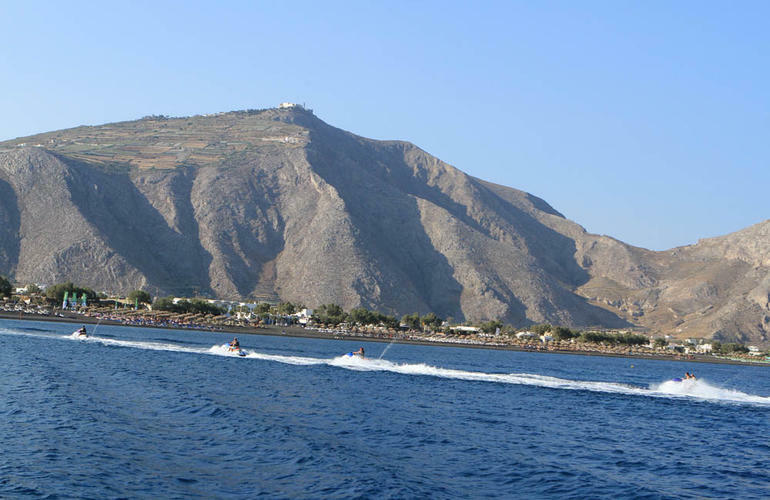 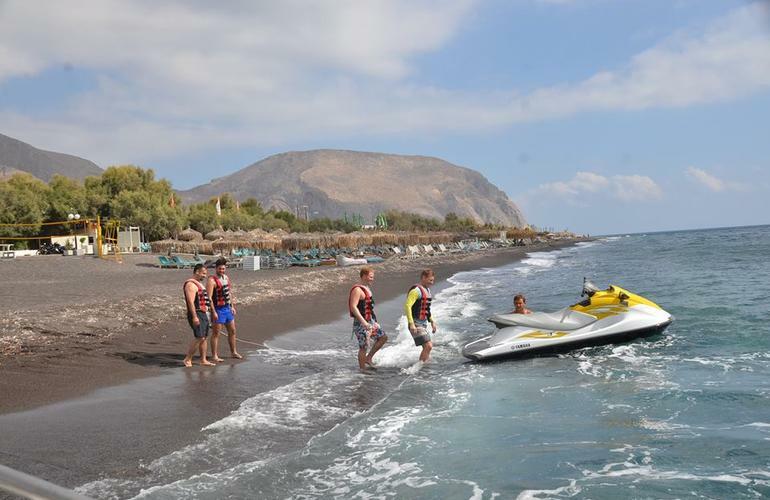 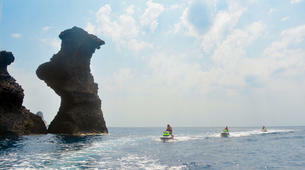 -The number requested during the booking process is per jet ski. 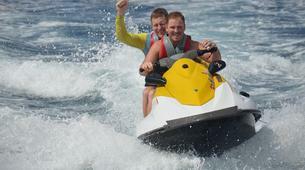 There can be 2 people per jet ski. 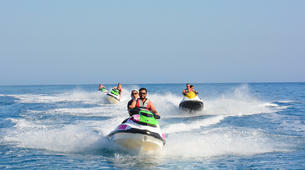 If you need 1 jet ski (1-2 people) choose 1. 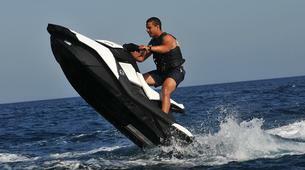 If you need 2 separate jet skis, choose 2. 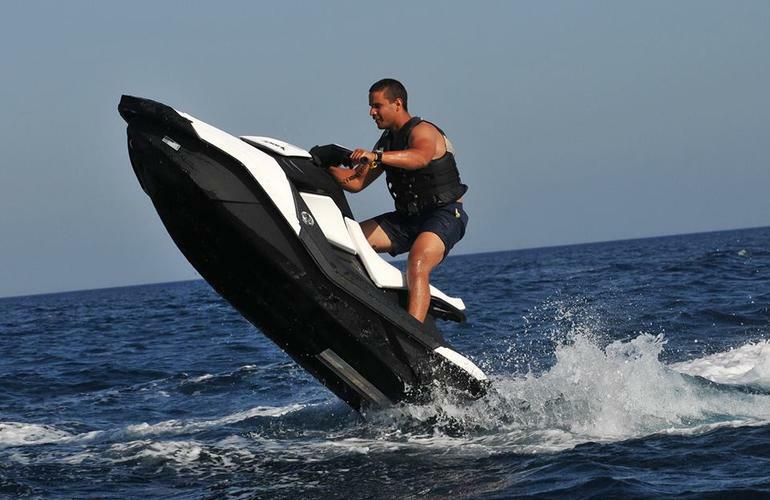 Le Safari Jet Ski est à faire !! 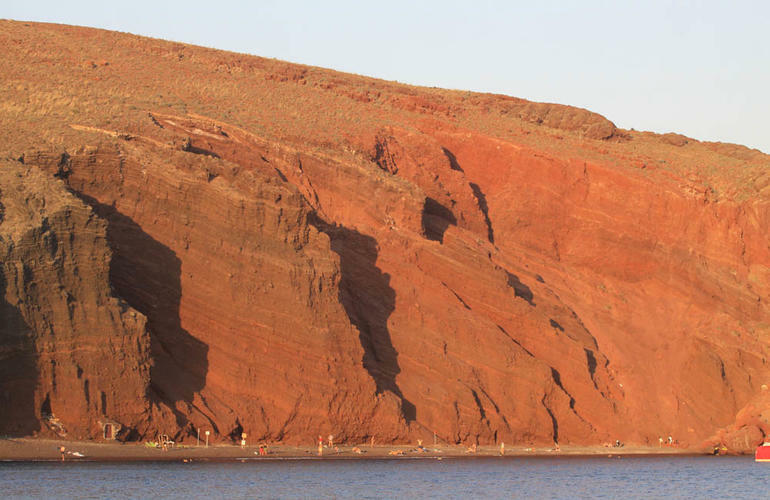 Le parcours de 90min fait toute la côté sud en partant de Périssa. 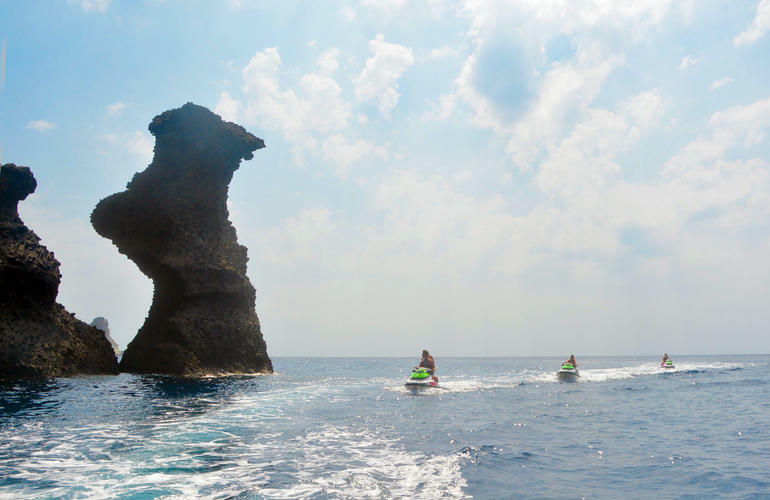 La vue est magnifique et la sensation est géniale ! 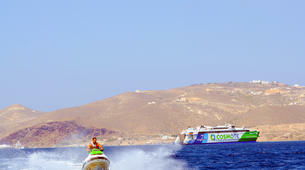 It was a really good experience to do. 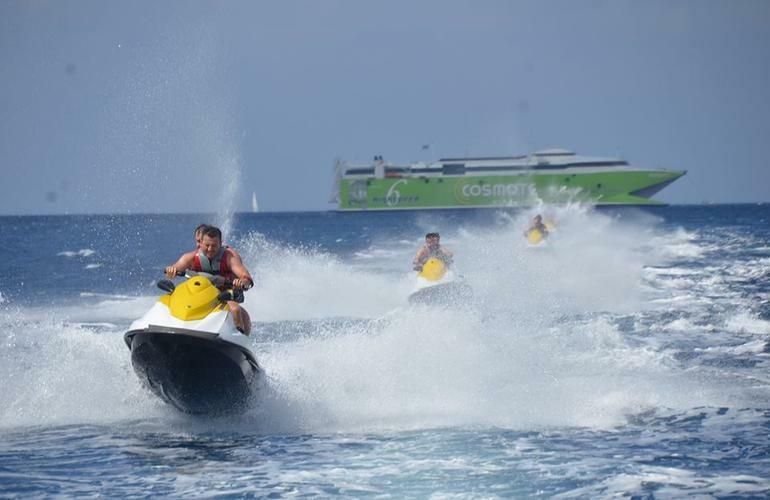 It was our first time in a jet ski and we would repeat it with any doubt. 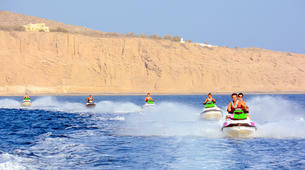 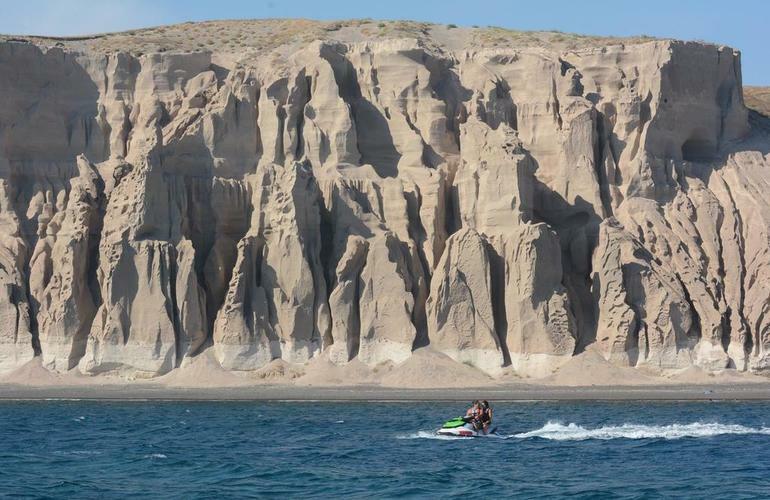 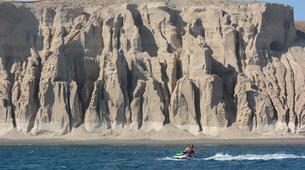 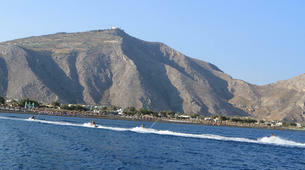 Whereas you ride the jet sky you could enjoy the landscape. 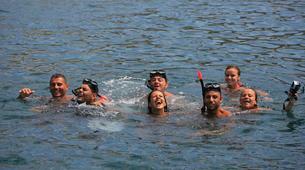 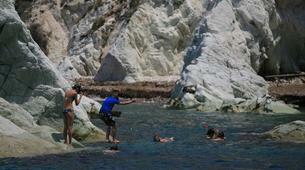 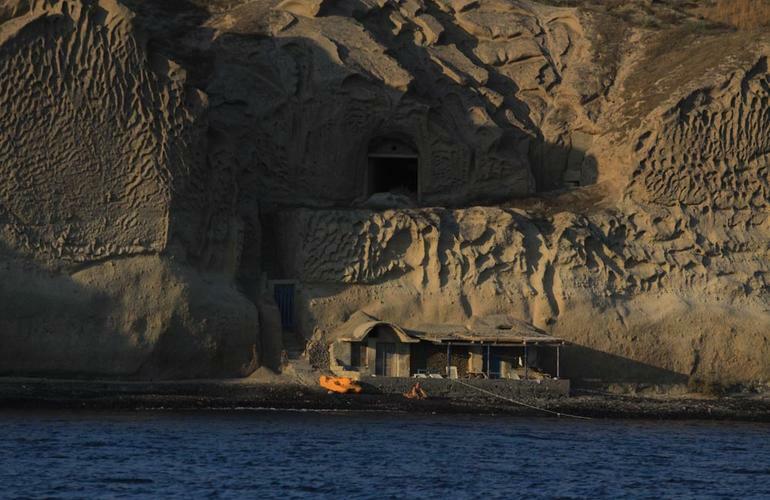 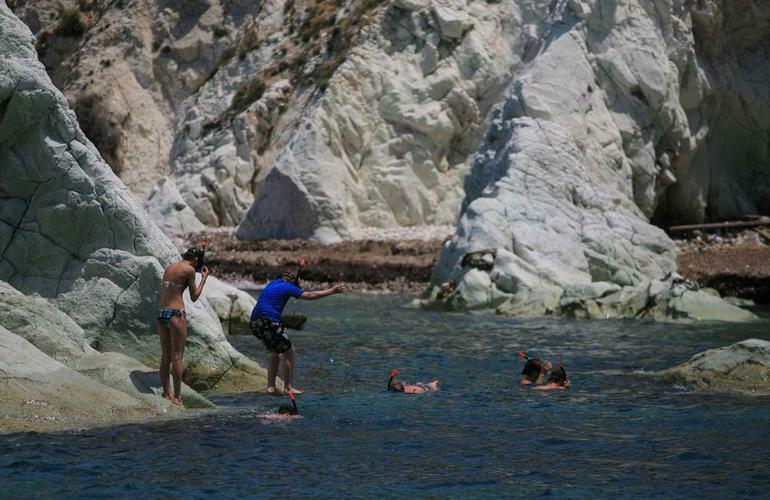 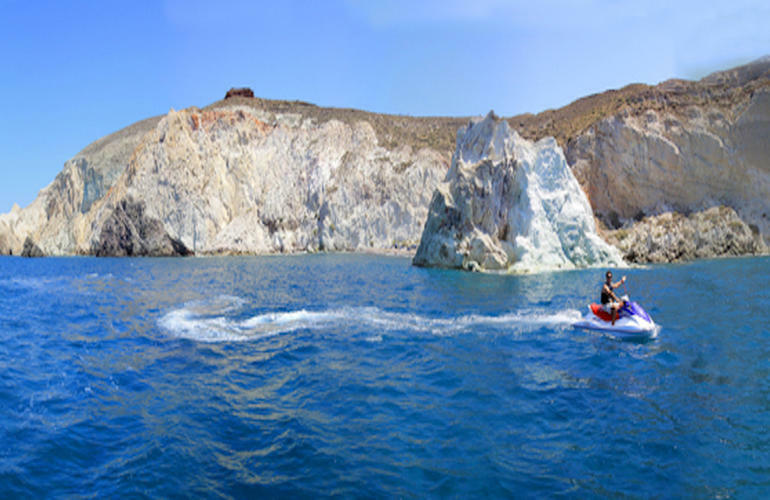 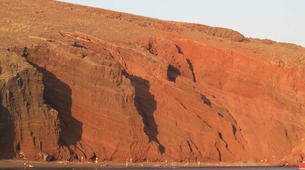 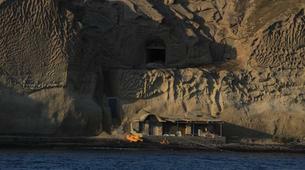 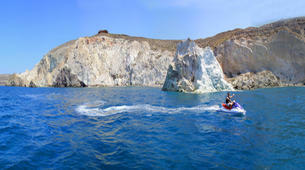 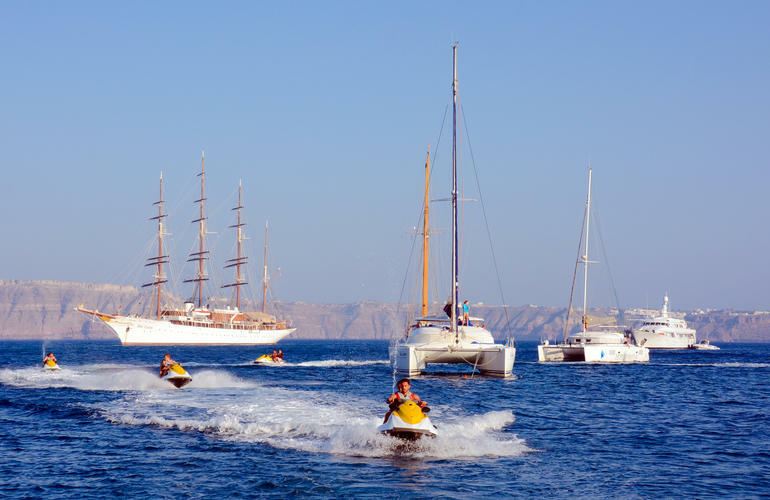 It's an activity that we strongly recommend to do in Santorini. 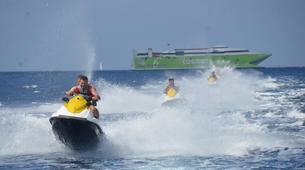 The activity from start to end was amazing. 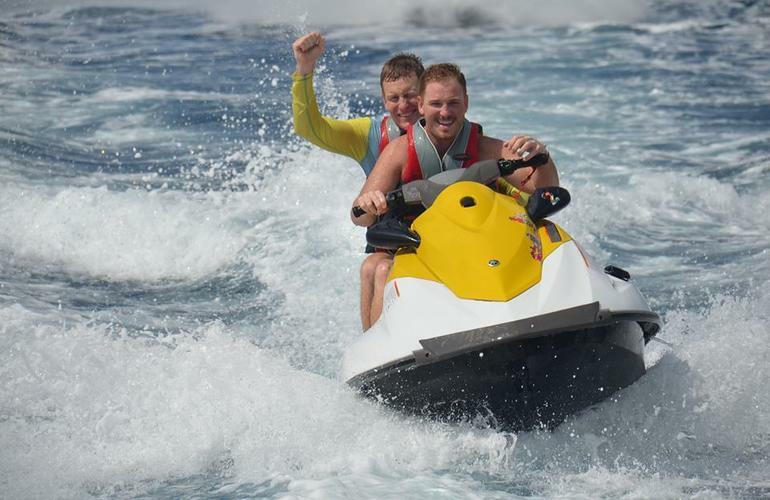 The jet skies were extremely fast and the views were phenomenal. 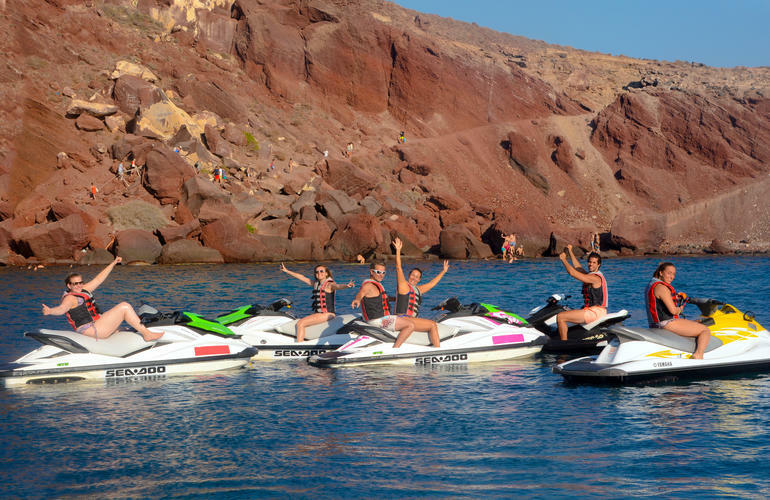 The most fun we had on Santorini! 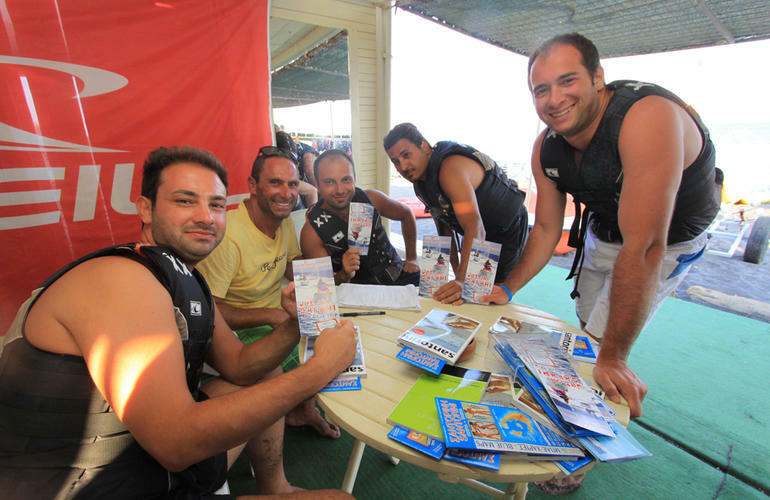 Everything was organized well and the guys at Wavesports are really cool and friendly. 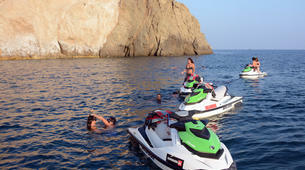 Set us up with all the gear needed + free goddies, and the jetski we had worked flawlessly, went like a bullet too!